Previously you saw several tabs in your Email Settings page, one for each type of email that you send. This let you control what guests receive for give away photos, purchases, previews, email sharing, and other types of interaction. As we've added more ways to engage with your guests we've added additional tabs, and this has become more difficult to manage. With this update you'll see a new Templates area under your settings. 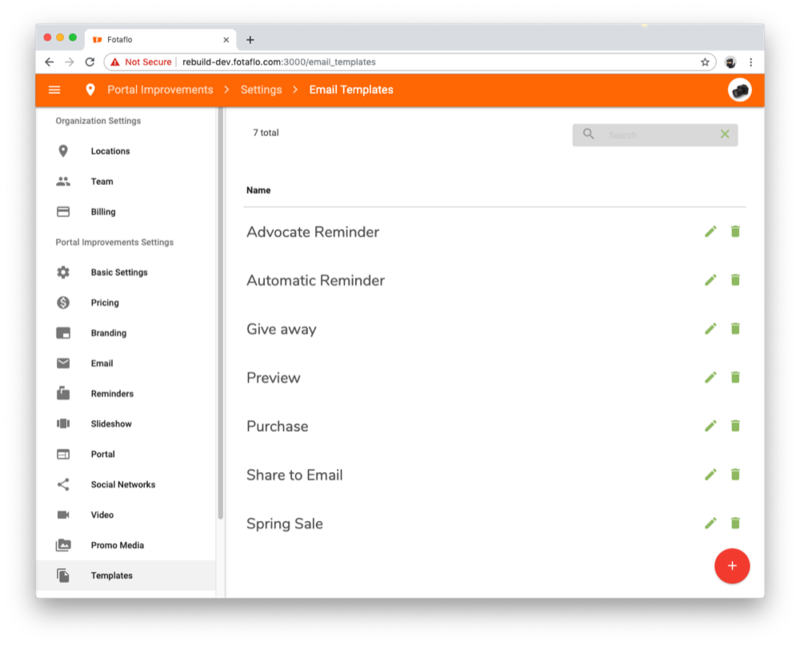 Here you can create and manage as many email templates as you like. Don't worry, we'll automatically copy your existing settings into templates, you don't need to do anything. You can re-use the same email content for different types of notifications without having to copy and paste the same content into multiple tabs under email settings. You can create special-purpose email content. For example you could create a template that includes a special coupon code link to your booking page. This template could be set to send only to your advocates. We will be expanding the capabilities of templates in the future. But for now it will make it easier to manage your email communication and ensure you're sending the right message to the right guests. In the next week or so we'll be updating Fotaflo with some exciting changes to albums. 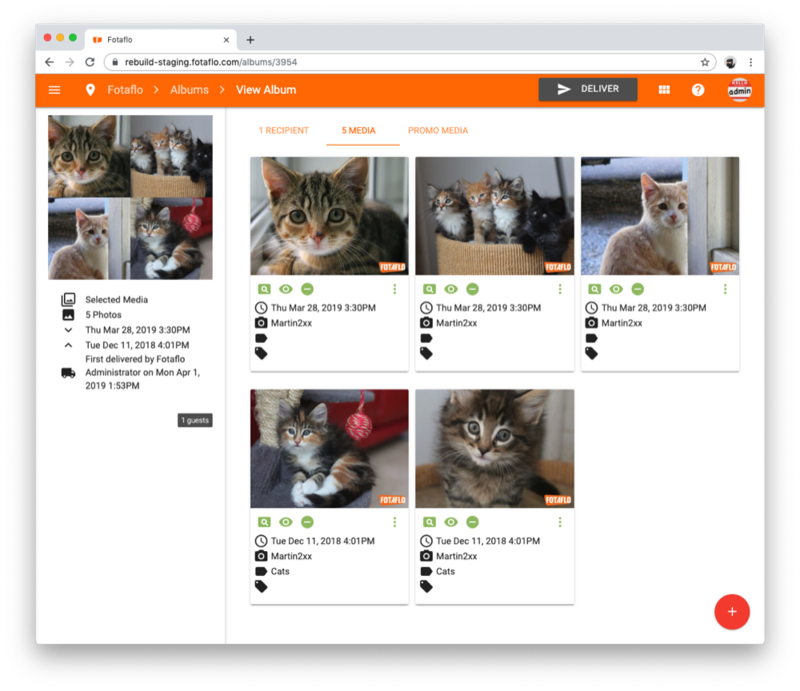 In the next week or so we'll be updating Fotaflo so that it's easier to select and deselect multiple photos at the same time. This will also work anywhere else that you can select multiple items for performing bulk actions.